Anyone who works in user research knows their work can uncover an array of user insights which can inform business and design decisions, and ultimately help create a better experience for users. However, it can be difficult to quantify anecdotal experience, especially if you’re mainly running moderated tests and getting qualitative insight. But by benchmarking quantitative research over time and/or against competitors, you can communicate this data effectively and efficiently to stakeholders and tie your improved user experience to improvements in your company’s overall KPIs. We’ll outline the differences between longitudinal benchmarking and competitive benchmarking, and reveal the value of both. We’ll answer your most burning benchmark questions: What can you benchmark? When and how often should you benchmark? As well as giving you a step-by-step guide to conducting benchmarking. We’ll discuss the value of scorecarding when communicating benchmarking results to your organization, and delve into UserZoom’s own single UX benchmarking metric - the qxScore! Here at UserZoom we have a secret weapon when it comes to UX benchmarking in the form of Dana Bishop. 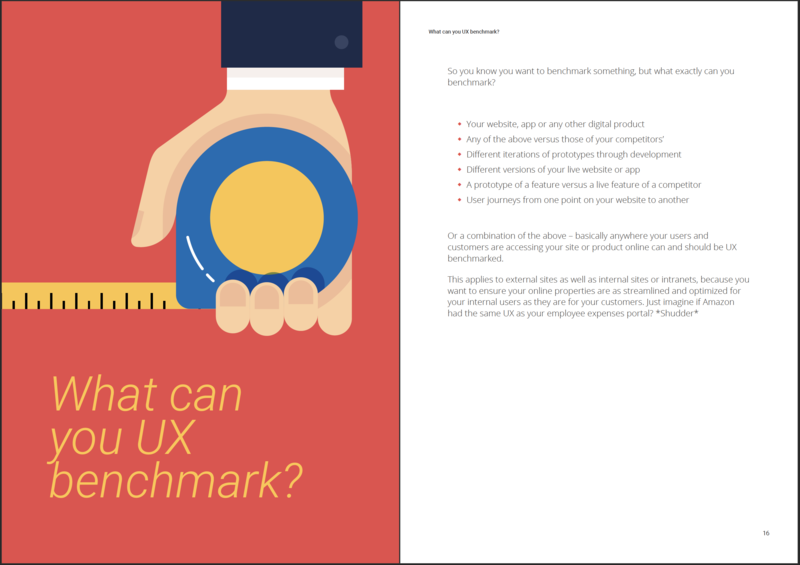 Dana is one of our Senior Directors of UX Research, whose 25 years of experience has been invaluable in leading countless impactful UX benchmark studies, so we’ve included Dana’s own personal 10 tips for benchmarking success!